Wild Sweets is always coming up with innovative desserts each season. They have recently launched their 2017 summer collection, and we got a sneak peak to see what there is to offer! 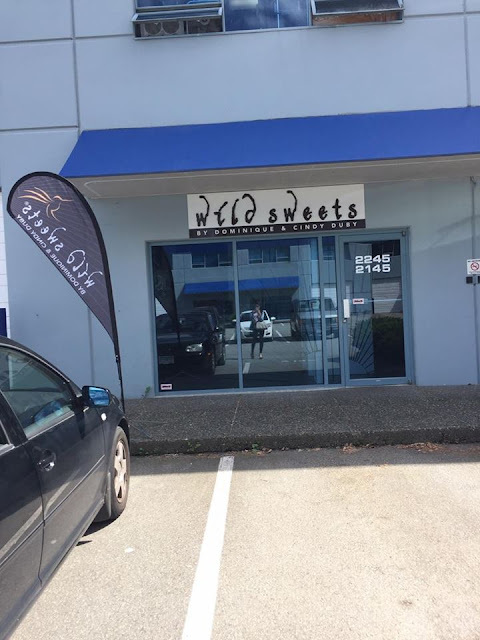 Last time I visited Wild Sweets, we got to try their Chocolate Tea, which is a drink made entirely from pure in-house roasted cocoa bean husks only and no sugar or any other ingredients are added except for a touch of vanilla bean powder. Now, for the summer, they have blended the tea with pure fruit purées and lightly sweetened with a vanilla syrup. You get this undertone of chocolate flavour, but the overall drink is fruity and refreshing when served cold. Currently, there are 5 flavours: Strawberry, White Pear, Lychee Raspberry, Morello Cherry, and Apricot Passion. My personal favourites are the Lychee Raspberry and Apricot Passion. The new C|Puff2s are Wild Sweet’s take on the classic cream puff. However, their cream puffs are not round, but instead a square shape! The Strawberry Cream C|Puff2 features a choux pastry and almond cookie crust filled with a strawberry custard cream, white chocolate Chantilly mousse, fresh strawberries, red berry confit, and served with an encapsulated mint aroma pipette. It is then decorated with chocolate cereal pearls, paper thin hand-painted chocolate petals and chocolate ‘pasta’ strands. The Chocolate Cream C|Puff2 features a dark chocolate custard cream, white chocolate Chantilly mousse, fresh raspberries, red fruit confit, red fruit Kirch aroma. I love how there are so many components to these desserts and they all work together. The amount of work that goes into each piece before it gets assembled is really amazing! What a piece of art! The Praline Cream C|Puff2 features a hazelnut praliné custard cream, white chocolate Chantilly mousse, fresh black berries, apricot passion confit, and orange liquor aroma. This is perfect if you love hazelnut, but can be slightly on the sweeter side. Yes – it’s crazy how many components there are to the ice cream! Each bite, you will find something different! Overall, there are definitely beautiful pieces of edible art for Wild Sweets’ new 2017 summer collection! You’ll have to pick these goodies up at the Atelier in Richmond, which is open Saturdays from 10:00 AM to 4:00 PM & Sundays from 12:00 to 4:00 PM. If you’re looking to pick them up from Mondays to Friday, you can also do so by making an appointment in advance. Check out their website for the full collection!